The 30 Days to a More Powerful Life with Soul Language, approach has been designed so you can spend just five minutes (or longer if you choose) on creating a conscious connection with your Soul to start to shape your life the way you truly desire. Want to test drive the program? 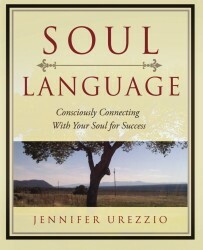 Sign up below for the first 5 Days FREE of 30 Days to a More Powerful Life with Soul Language PDF. These exercises are designed to bring the truths of your Soul to light, to release the myths and heritage beliefs that are no longer serving you and to help you create a personal structure that you will use every day because it resonates with you, your Soul and your life. You can experience the approach by signing up below for the first five days below! If you are interested in learning more about the 30 Days click here.